"My goal is simple. It is a complete understanding of the universe, why it is as it is and why it exists at all. We see the universe the way it is because, if it were different, we would not be here to observe it." 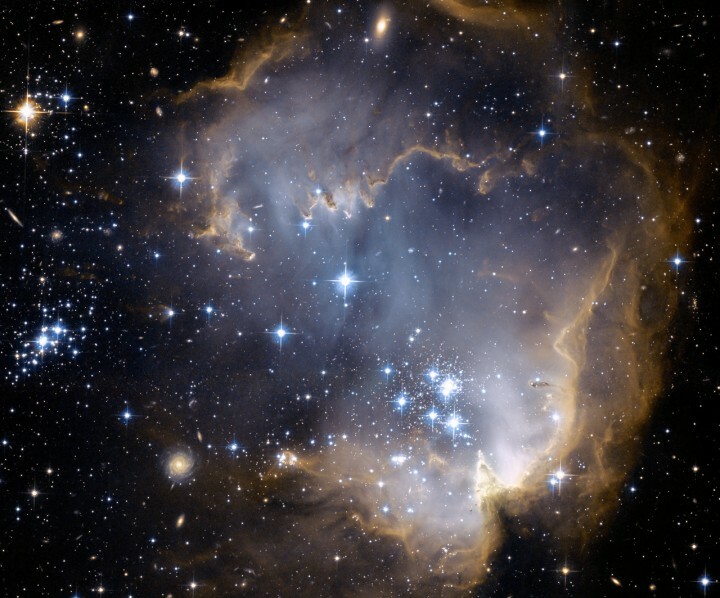 NGC 602 is located in the Small Magellanic Cloud (a satellite galaxy to our Milky Way) in the direction of the southern hemisphere constellation Tucana - the Toucan.